Achieving PCI DSS compliance involves several steps. 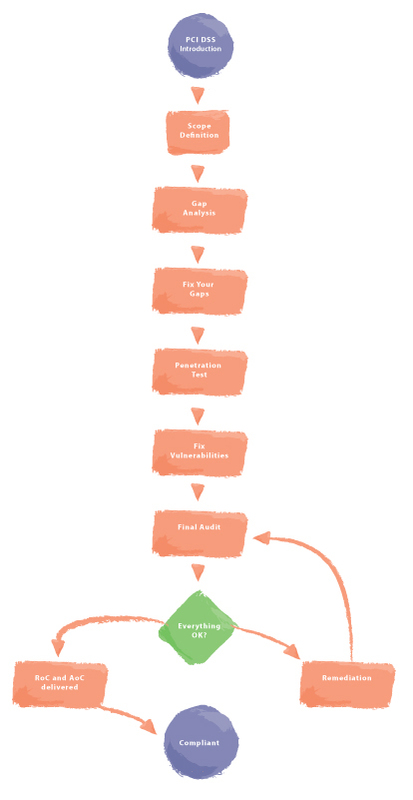 Below is the workflow in a visual overview. Do you want to know more about PCI DSS Workflow?